This small article is about what is new in MorphOS 3 compared to MorphOS 2 and especially to my review of it. I'll try to gather the most visible new features to users while not going too deep underneath. More detailed update information can be found on the official release notes: 3.0, 3.1, 3.2, 3.3, 3.4, 3.5, 3.6, 3.7. A full list of currently supported hardware can be found on the official compatibility page. Updating to MorphOS 3 is free of charge for registered MorphOS 2.x users and the price has been dropped noticeably for others. MorphOS now runs on a wide selection of laptops. 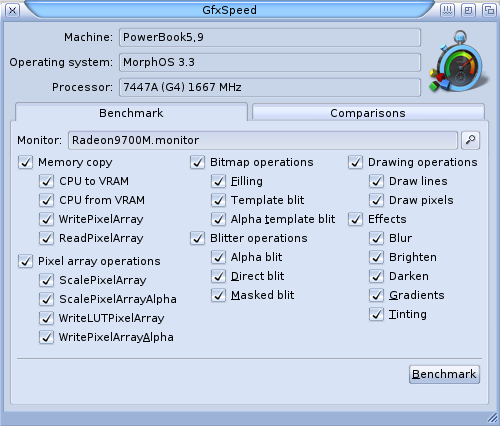 All Radeon equipped G4 Aluminum PowerBooks and G4 iBooks are supported. Titanium G4 PowerBooks with Radeon do also work to some degree, but for example audio is missing on certain models. 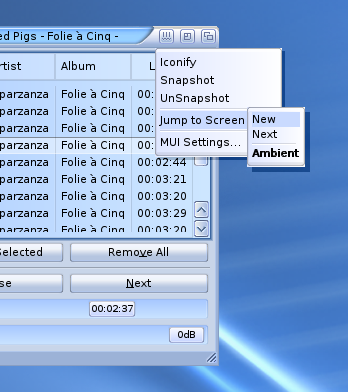 Laptops work in the native resolution by default, but MorphOS also offers a few virtual modes for compatibility with fixed resolution programs and games. There's also a possibility to create new modes if needed. External monitors aren't supported yet, but the external connector outputs laptop's native resolution image as VGA signal, which might or might not work with an external display. You might also try to use the laptop with an external monitor with lid closed. MorphOS supports wireless networking with drivers for Apple's AirPort Extreme and AirForce One 54g, which means that internal WLAN adapters found in, for example, laptops and Mac minis will work. External Atheros 5000 based PCMCIA and PCI cards are supported too. The laptop concept is generaly well supported, especially on models which internally use USB for keyboard and touchpad (models 5,6-5,9 and 6,7). 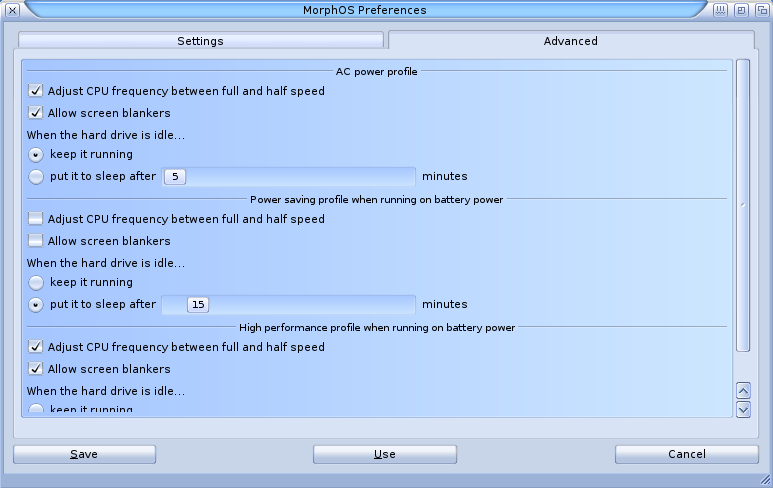 MorphOS offers different power management profiles, touchpad configuration preferences, support for FN keys and a few extra bits here and there. Right mouse button and scrolling are simulated with two finger gestures on a touchpad. Touchpad settings won't work on ADB based machines though. Certain PowerMac G5 models are supported now. Maximum raw CPU performance is raised to a whole new level with G5 processors up to 2.7 GHz. 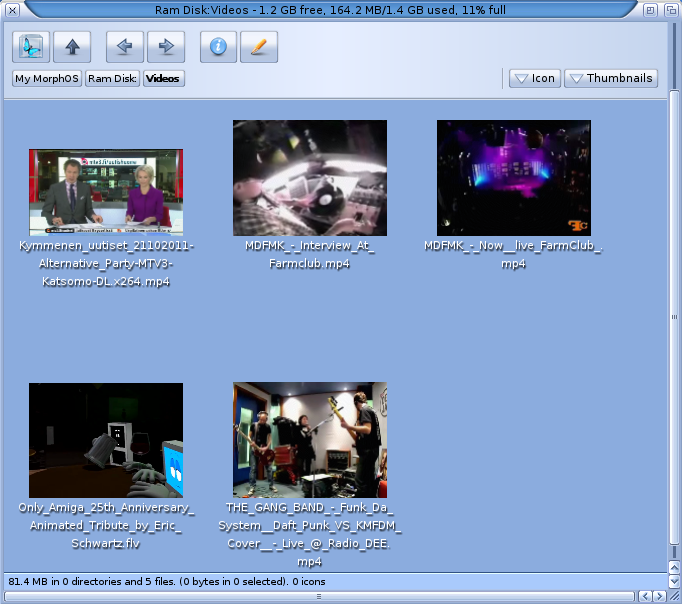 Ambient windows feature preview for video files now. Video is played on the icon when you move mouse over it. Default view behaviour can be defined and you can have DOpus-like file selection mode where you don't have to press the shift key when selecting multiple files. 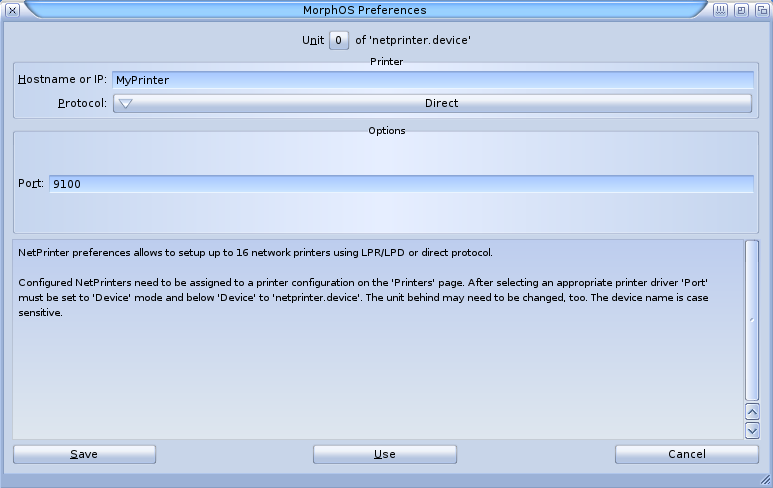 Network printing driver has been added to the default installation. 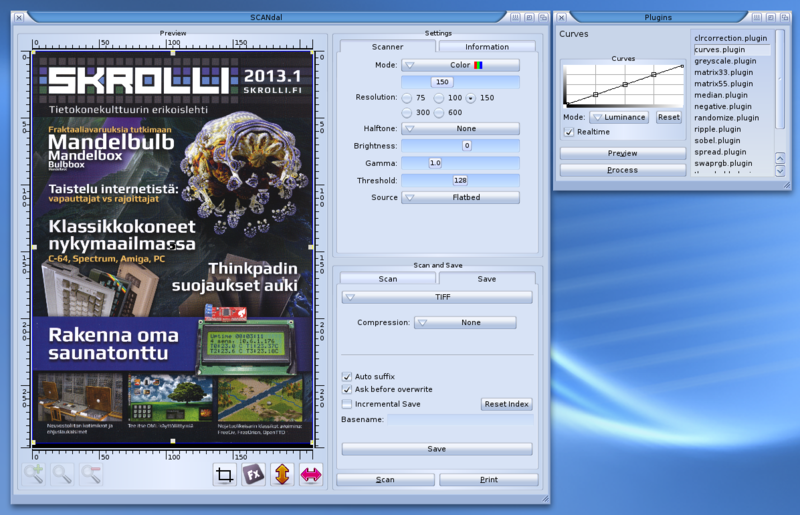 MUI programs have a more streamlined window border popup menu. 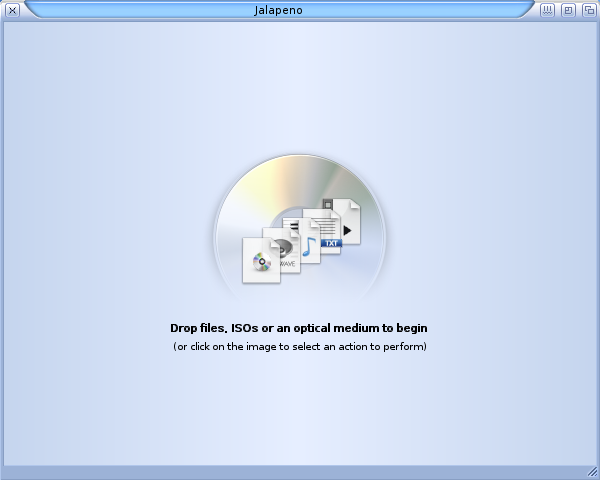 Especially the option to move programs to their own new screen with a single menu selection is a very nice addition. A new temporary screen is created on the fly and you don't have to edit the MUI screen database anymore. It's much easier to start utilizing screens for people who aren't that familiar with the traditional screen concept. The Buttons section of MUI has a couple of new things. You can define how buttons are ghosted when they're not available for use. The old disliked raster effect can be replaced with, for example, reduced visibility. The active gadgets border effect is more configurable now too. The new panels implementation. Panels are now found in Ambient settings. The system can be locked with a password prompt. The user can select if the password is asked at boot, after blanking or invoked manually. Good old PFS3 filesystem makes a comeback in MorphOS. A fixed and native version is available even at boot. 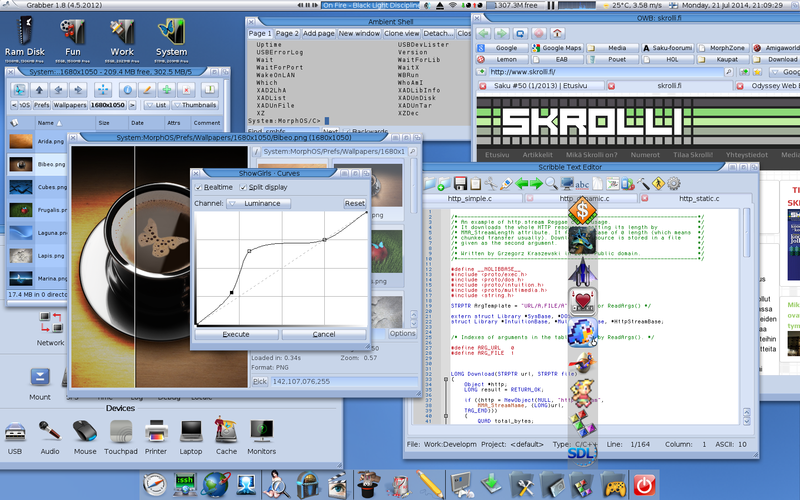 MorphOS now comes with a native implementation of the Lua scripting language. You can use Lua instead of non-native ARexx to write scripts and control other programs. Programs can be controlled with their already existing ARexx ports. There are also lots of new things in Reggae, faster 3D drivers, heavily updated NetStack kernel, support for new gfx cards, new shell commands, new screenbar modules, and other changes to the internal stuff. 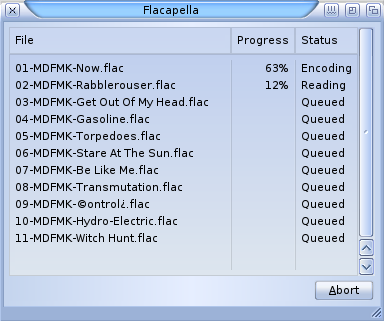 Flacapella - CD ripping software. By default it can encode ripped tracks to FLAC, but it can be configured to encode to any other format with external encoders, like to mp3 with lame. 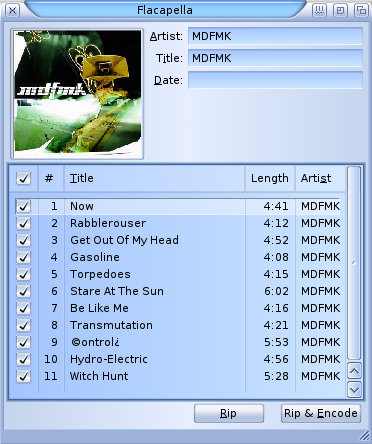 It also downloads CD cover images and optionally saves or embeds them into the encoded tracks. 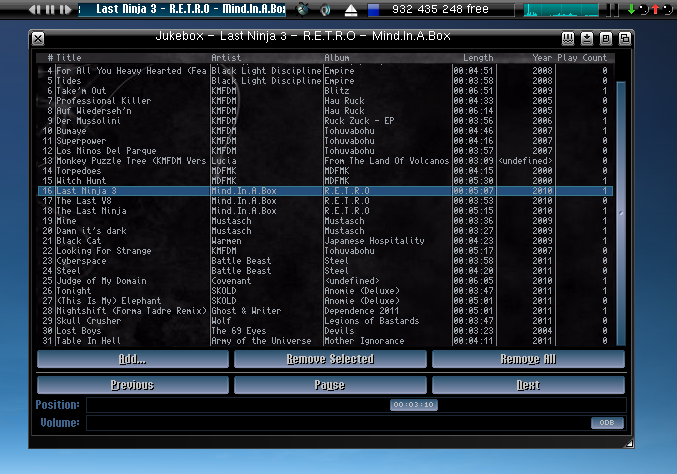 Jukebox - Simple music player, which still does everything you need for local music playing. It has an extremely useful screenbar module option, which gives you a control deck on the screen title bar on all MUI screens. You can control the player and see what's playing without needing to switch back to the Ambient screen from other screens. I absolutely love it. In addition, random play works as it should by not playing anything twice until all the songs have been played. 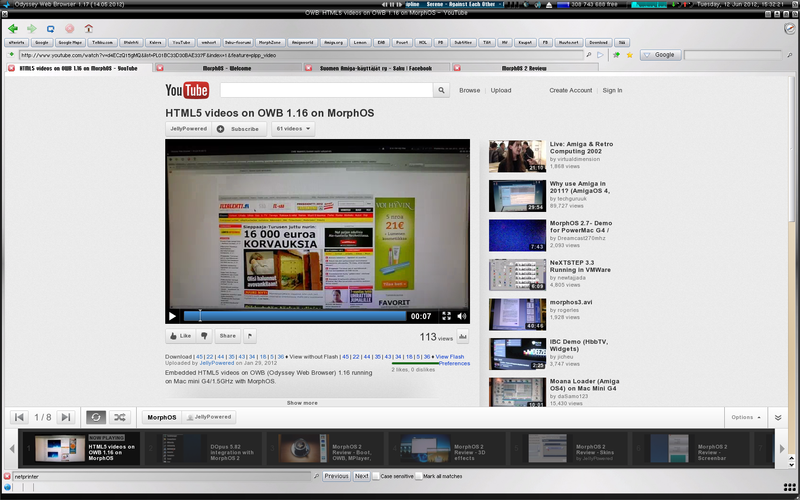 OWB - Odyssey Web Browser has taken big leaps since the previous MorphOS version. And with its new name you can say it's a new browser again :-) An absolutely wonderful and fully featured browser based on WebKit. The features include: HTML5 video/audio support, bookmark/download/password/cookie/connections managers, session support, form filling and url completion, fastlinks with popup menus, content blocking, private browsing, per url settings, spell checking, fullscreen, PDF export, printing support, WebInspector, user scripting and more. 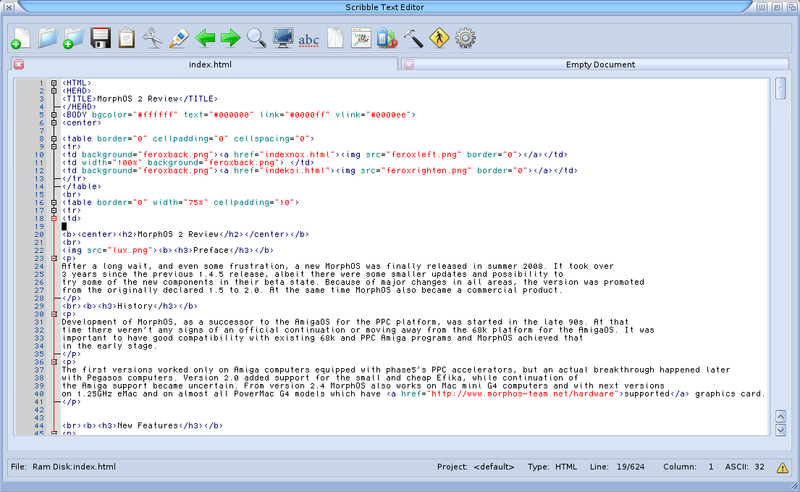 Scribble - Powerful text editor based on the Scintilla engine. Supports many programming syntaxes, such as C/C++, Makefiles, E, HTML, scripting languages etc. It has a code formatter, spell checker, CVS functions, project management and building, and many more features. It can also export text to HTML and PDF. It seems that I'm finally leaving CED behind. Transfer - Graphical FTP/SFTP client, which supports multiple server connections via tabs. A GUI-based SFTP finally on MorphOS! 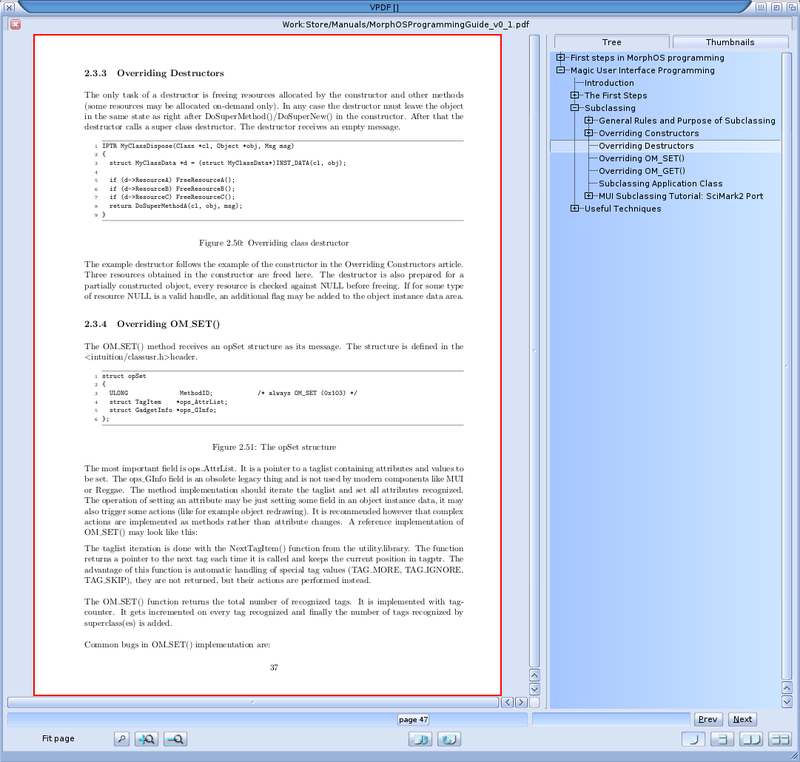 VPDF - A whole new PDF viewer with better compatibility than APDF. 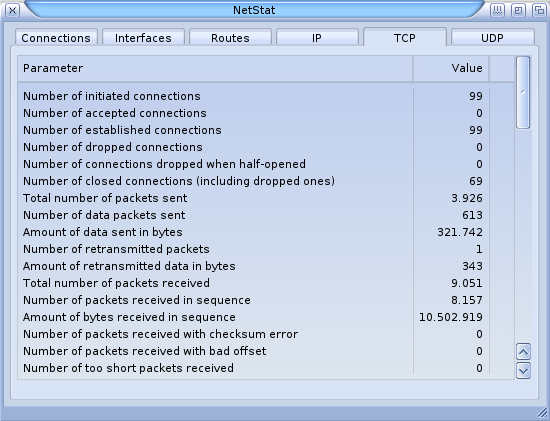 NetStat - Comprehensive network statistics program. 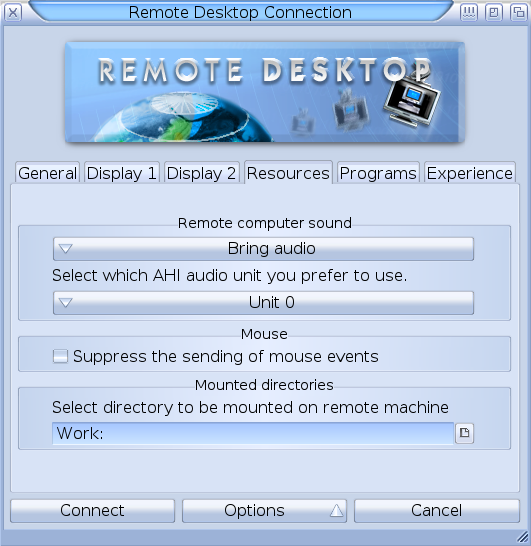 RDesktop - Remote Desktop client. SCANdal - Scanning program which uses Betascan and SANE drivers. 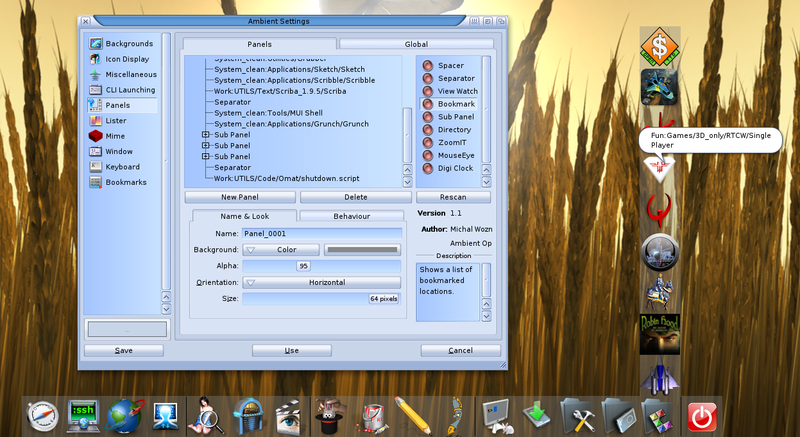 ZVNC - Input only VNC client, which is well integrated to the system. SmbFS - Native SMBFS port with 64bit support. 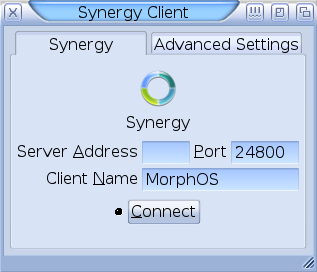 Synergy - Client for controlling a MorphOS machine with mouse/keyboard connected to a Windows/OSX machine. 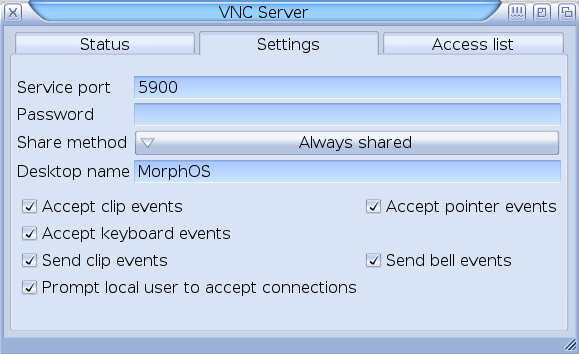 VNCServer - VNC server for using MorphOS remotely. MorphOS 2 was already so polished and extensive that nobody should expect anywhere near as big a leap in features as it was with the transition from 1.x to 2.x. 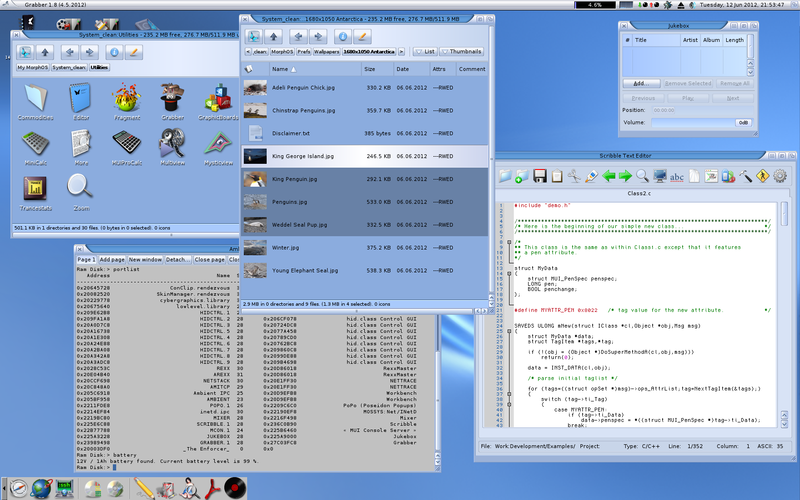 MorphOS 3 mainly continues where MorphOS 2 updates were left in version 2.7. Adding laptop support and pretty big, but less visible, changes in internal things justify the version leap. Not to forget many useful new applications either. It's good to see MorphOS going strong and keeping the spirit on. If you haven't registered MorphOS 2 earlier, now is the time! 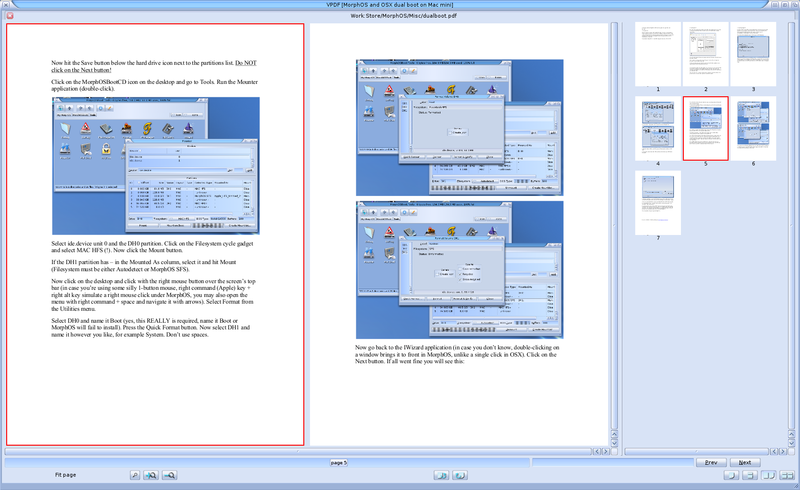 For more detailed info about MorphOS in general, read my MorphOS 2 review. 0.4 (02.08.2014) - Added a mention of Lua, which has been included since 3.0. Replaced old default desktop image with a new one. Few modifications to texts too.